The silverback sat in solitary splendour. His extended family was spread all around him, at a respectful distance. He chose to ignore them. Two young ones were bored. They walked about a bit, and found a baby antelope. One sniffed at its nose, and the other pulled its back legs. It stood frozen in fear. They left it after a few minutes, then dug up the soft soil, gobbling the ants as they ran out. They made a meal of the abundant nettles (which they folded to avoid being stung), popping the leaves into their mouths. The female amused herself by catching the many flies, taking them apart, and examining every little part. They munched on the crisp wild celery sticks. They nibbled the fungus on the trees. Are you looking for a low-cost, rust-free and long lasting residential aluminum fence ? These guys know how to help you as far as they carry a large selection of decorative residential aluminum fence panels that will be an excellent choice to enhance the appearance of your location. As the sun was ready to leave, the troop got up slowly, one by one, and moved on behind their leader who had ambled his way to the fringe of the forest. 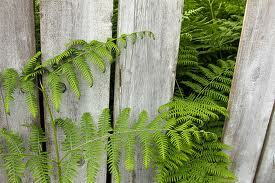 The bamboo poles arched from a fence of ferns. There were wire nooses hidden in the dirt. They were not meant for them, though. The traps were set to catch antelopes. The troop leader was wise and experienced in the ways of man. He led them carefully around them, and emerged onto open terrain. They saw a challenger on the opposite side of the ravine. He hooted loudly. He pounded his cupped palms against his chest. He broke branches, and started towards the troop. They watched him silently. He stood on two legs, beat his chest again, and smashed the thick branches against the ground. The troop leader answered with a tremendous roar. Then he charged the younger male who dared to mock him. The challenger saw the huge shape come hurtling towards him, lost his resolve, and fled fast. Jill felt the rain pounding down upon her, the water trickling down her thick, khaki shirt, but she stood riveted. The streets were dark, filthy, twisted and broken. Like most of the men and women who lived there. Jill was born in one of the houses, the fifth child to parents who cared for none of them. Her father had charcoal skin, a black moustache, large fists and an ugly temper. He ran the pub on the corner, where the thugs and the crooks gathered. He made the liquor, putting into the pot whatever rubbish he could lay his hands on. He had a gun and a knife on him at all times. He did not bother to hide them under his clothes. He wanted everyone to see them clearly. Her mother looked like dry fungus. She did not talk. She screamed. She fought. She threw. She dodged. Jill was punished for speaking, and not speaking. She was beaten, kicked and nearly strangled. She had to cook, and to clean whenever the smell became unbearable. She was the eldest among the girls. Her brothers roamed the neighbourhood, imposing their will and fancy on the rif-raf. They went to the school of violence. The Honduras had many of those in the cities. Gangs fought over territory. Each area commanded a lot in protection money. There was no protection however. There were drugs. Plenty of that. Hard-core drugs like heroin. Jill lived in fear. She was the hub of the carriers. She had on a coarse, cotton dress. She went from hovel to hovel, lean with hunger, mean with anger. The police generally adopted a policy of laissez-faire. Sometimes though, to keep up appearances, they caught hold of the easiest, and dumped them in jail. The judges had families. They generally dismissed cases for lack of evidence. Jill was out on parole, after serving a short prison term. She was walking the streets when she got caught in a fierce fight between the Punks and the Pros. The Pros were in a majority, and were well-armed. They carried guns, swords and daggers. The Punks had strayed into their territory. It was a blood-bath. The Punks were fleeing desperately, and the crowd of them knocked Jill to the ground, as she turned a corner unaware of what was going on. She didn’t feel a thing. She just blanked out. When she opened her eyes days later, she found herself in a dark room with a distinct stink of alcohol. She had no idea of where she was. She just lay there in a daze. No one came in, and she dozed off. The probation officer talked discreetly to “fences” who led him, in disguise, to the room where she lay. They then disappeared. He saw the deathly paleness on her face, her paper-thin body. He was a kind man. His name was Pablos. He arranged her removal from there, and had her sent to another city, to a small, rest home manned by nuns. The nuns were part of an international sisterhood called “Love and Peace Always”. They worked with the homeless and the destitute. They were dedicated to pulling people away from alcohol, drugs and crime. Jill had never been treated well before. She had been slapped, bitten, kicked and punched. She knew no language but abuse. So she abused the nuns. She called them bad names. She spat at them. Yet they looked after her. They fed her, cleaned her, clothed her with clean cottons. They talked gently to her. They prayed for her. She slowly put on weight. She did not try to run away, because now she liked the food they gave her, and she realised that she would not get such good food anywhere on her own. They took her to the chapel. But she just sat there sullenly. She refused to pray. They took her for walks, and she dragged along. They taught her that there was a God in the sky who looked after everyone. She just laughed at them, and told them that they were stupid. Time passed. They wanted her to embrace a new life. Maybe in the Honduras; maybe elsewhere. They were determined to pull her away from an existence of vice, drugs and crime. They had been successful in other cases. They had branches all over the world. The branch in Africa was starting out on an experiment called “Gorilla Good”. They talked to Jill about it. They told her what that was. They showed her photos. They said that they were prepared to spend a lot of money on her in sending her to Africa, to the wild, where animals were the therapists, and there were no drugs. It was a unique rehabilitation programme. She had never sat in an aeroplane. She liked the tasty food, and the movies. and when Dian first saw them, they fled. She followed them, but couldn’t find them, because the thick vegetation hid them. She climbed a tree clumsily, and then looked down. They were sitting below, staring up at her, wondering how anyone could be so slow in climbing. Jill was fascinated with the gorillas. She went to watch them day after day. They got used to her. She learnt to distinguish individuals. She gave them names. She made notes, and took photos. She fell in love with Africa. She made it her life’s mission to fight the poachers. She petitioned the Government. Her pleas for armed guards to protect the gorillas against poachers first fell on deaf ears. But “Love and Peace Always” took up the matter, and asked the United Nations to step in, and persuade the local government to protect the gorillas from extinction. Jill got what she wanted. She accompanied the armed guards on their patrols. The poachers noticed her. They found out that she had been the cause of the armed patrols stepping up. Jill was killed by a bullet!